We Delivers Top-Notch Mobile Solutions For All Your IT Needs. Today, business demand is transformed into mobile applications, which used advanced technological era by providing great user experiences to the customers. The world demands feature-rich solutions which connected to the latest technologies like location information & mapping, video, and real-time notifications, near field communication (NFC), data capture and so on. But the real challenge emerges with the different devices and OS versions to develop a new generation mobile app. Developing mobile apps for these all devices need advanced technology implementation by experts. As a leading mobile app development agency, we offer most intensive mobile app development solutions to the agencies around the world. 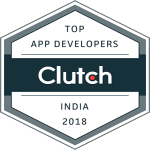 We have a team of 150+ app developers who are capable to handle any of your app development requirements and deliver solutions in the best way. Since our inception in 2011, we worked with 1200+ clients and developed and deliver 2500+ apps for both platforms. We have experience of app development for almost 20+ industries and that makes up a leading app development agency in the world. Our team adopted all the latest updates about the responsive mobile application development methodology to develop mobile apps. We focus on testing, universal code review and transparency to reduce the entire cost. We believe in delivering a solution that client dream about. We develop apps as per your requirements that achieve your business goals for sure. We understand the clients’ requirements and analyze every point and requirements very carefully. In the second part, we provide you the complete analysis according to our understanding along. We always consider that first Impression is the last impression. We design your app that looks great and user-friendly. Our developers develop clean-coded, and zero error apps optimized with various features and steady performance attributes. Our process focuses meticulously on the quality and performance of the app. After development, we make sure that the final product is bug-free and crafted according to the client requirements. Once we and the clients become fully satisfied with what is developed after that we go live. We take pride in developing various apps in multiple segments and are always ready for a new challenge! Why Should You Hire Hyperlink InfoSystem? At Hyperlink InfoSystem, we specialize in developing strong and unique mobile apps for business or any personal perspective with the latest app technologies and trends. Till now, we have provided to a broad spectrum of app solutions developed for diverse mobile platforms. From high-tech enterprise mobility solutions to feature-rich mobile apps for small and enterprise-sized businesses, our app portfolio has an excellent variety that makes us a talented mobile app development agency.